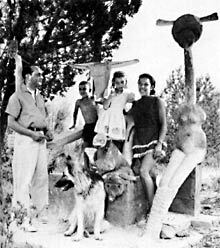 with CAPRICORN, Sedona, Arizona, 1961.
the son of surrelist, Max Ernst. Hampton, NY and became interested in lighting and set design. Eric Donald Johnson, opera singer.